The ancient mind-body practice of meditation, found in cultures and spiritual traditions throughout the world, is valued for helping one develop mindfulness – a heightened sense of awareness that brings calm and clarity, along with loads of health benefits, including reducing stress. Today, almost everyone is stressed out at some level. Stress causes blood pressure to rise and hormones, such as adrenalin and cortisol, to elevate and wreak havoc on the body. Too much stress has been linked to heart disease, compromised immunity, infection and many types of cancer. Best-selling author and meditation guru, Deepak Chopra, MD, has developed a meditation cleanse to help detoxify your life from stress in just 21 days. Get ready to meditate your way to better health in just 21 days. Love is one of the primary areas of life where we seek fulfillment. Love makes us feel safe and secure. What’s more, science shows that love is healthy. It positively impacts the limbic system – the brain’s emotional center – helping to restore balance in the body and aid self-repair. To develop healthy, loving relationships with others, you need to practice and master self-love first. Meditate on the idea of nourishing your heart with love, compassion and empathy. The notion that love heals is not a myth. 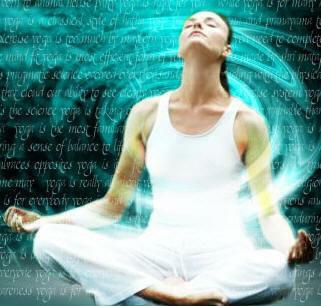 Meditation can help provide knowledge and clarity. As goal-seeking organisms, most of us want to be “successful,” but we often think in terms of a limited definition of success, such as fame or fortune. Meditation can help you tap into your creativity, insights, imagination, inspiration and intuition. This allows you to examine different choices as well as develop self-confidence to embark on your own personal journey toward success. By meditating daily, you’ll connect to the spiritual and mysterious aspects of existence. Meditation allows you to open yourself up and ponder profound ideas that may weigh on you and cause stress. It allows you to develop a higher consciousness so that you can contemplate fundamental and profound questions such as: What is the meaning of our existence? What is the meaning of death? Is there a higher power? Is there a part of us that is immortal? And so forth. To prepare for the practice of daily meditation and eliminate stress, you must nourish your body properly. According to Deepak Chopra, food allows your body to be joyful and energetic, while also allowing your mind to be restful and alert. By eating a healthy, balanced diet, you can develop greater purity, energy and balance in your mind-body connection. To nourish your body, follow Deepak Chopra’s 3 rules. Deepak Chopra regards frozen, leftover, unnatural, nuked and canned foods as “dead” since these preparations kill the nucleus of the cells in the food itself. Try to always eat fresh foods since they are “alive” and full of more prana, the Sanskrit word for “life force.” Make a habit of eating mainly a plant-based diet. Eat high-quality meat, chicken, fish and dairy in moderation. Whenever possible, choose organic foods. Always incorporate six tastes – astringent, bitter, pungent, salty, sour, sweet – into every meal. This practice is part of ayurveda, the ancient medical system of India, Deepak Chopra’s country of origin. (“Ayu” means life and “veda” means knowledge, so ayurveda is the science of life.) By incorporating all six tastes, you’ll get all the nutrients your body needs and lessen your cravings for junk foods. Astringent foods absorb water and tighten tissues. They include lentils, beans, green apples, grape skins, cauliflower, pomegranates and tea. Bitter foods are loaded with natural phytochemicals that have anti-inflammatory, detoxifying and disease-preventing healing properties. They include green, leafy vegetables, kale, celery, broccoli, sprouts and beets. Pungent foods stimulate digestion and metabolism. They also contain natural antioxidants and infection-fighting chemicals. These include peppers, chilies, onions, garlic, cayenne, curry, turmeric, black pepper, cloves, ginger and mustard. Sour foods slow the emptying of your stomach, reducing the insulin-stimulating affect of carbohydrates. They include citrus fruits, berries, tomatoes, pickled foods, and vinegar. Sweet foods build tissues and calm nerves. They include whole grains, starchy vegetables, dairy, meat, chicken, fish, honey and molasses. Remember, sweet should not mean refined sugar or empty carbs. Many Americans have a distorted sense of portion size and consume way more calories than they need. To figure out your ideal portion based on your body size, cup your hands together with your fingertips touching to form a bowl. The recommended amount of food to eat at a meal is the equivalent of 2 of these handfuls. This daily meditation recommended by Deepak Chopra focuses on reflection and intention. It can provide healing in all or any of the 4 areas of life (health and well-being, love and relationships, success, and higher consciousness) that may be causing you stress. To begin meditating, get in a comfortable position on the floor with your legs crossed or sit in a chair. (If you are ill or need to lie down that’s fine, although sitting is preferred.) Relax your hands on your lap, with palms up or any way that you feel most open. Close your eyes and bring your awareness to your breath. Thoughts will inevitably drift in and dance around your mind, but that’s okay. Just let them be. If you find yourself thinking about what’s passing through your mind, just return to focusing your awareness on your breath, and you will soon slip into the space between your thoughts. In an unforced natural rhythm, allow your breath to flow in and out, easily and effortlessly. Now focus your attention toward the area of your heart. Ask yourself silently, what is my highest vision for my health and well being? Allow any sensations, images, feelings or thoughts to spontaneously emerge. Second, ask yourself what is my highest vision for love and relationships in my life? Again, you don’t need to seek the answers. They’re there. Let them emerge as sensations, images, feelings and thoughts. Third, ask what is my highest vision for the realization of my goals for success in life? Allow thoughts, sensations and images to come from the deepest part of you. Lastly, ask, how do I get in touch with my higher self – my spirit? Allow thoughts feelings, sensations to emerge. After your reflections, say, “Om bhavam namah,” which translates roughly as “I am absolute existence; I am a field of infinite possibilities.” Repeat this phrase mentally a few times while your eyes are still closed. Then let go and ease yourself out of the meditation. Engage in this meditation every day for 21 days to help make it an enduring habit that you can practice for life. Want to continue your meditation practice? You can own your own 21-Day mediation series with Oprah and Deepak as your guides. Get more information here. just great and i can assume you’re an expert on this subject. Well with your permission allow me to grab your RSS feed to keep up to date with forthcoming post. Thanks a million and please keep up the gratifying work. Hello There. I discovered your blog the use of msn. That is a really smartly written article. I’ll make sure to bookmark it and come back to learn more of your useful information. Thank you for the post. I will certainly return. this post. I’ll be coming back to your web site for more soon. I have been surfing online more than three hours today, yet I never found any interesting article like yours. It is pretty worth enough for me. In my view, if all site owners and bloggers made good content as you did, the net will be much more useful than ever before. (I also love the theme/design), I don’t have time to go through it all at the moment but I have bookmarked it and also included your RSS feeds, so when I have time I will be back to read more, Please do keep up the excellent work. hi!,I like your writing so much! share we keep up a correspondence more approximately your post on AOL? I need a specialist in this house to solve my problem. Maybe that’s you! Having a look forward to peer you. Great site. Lots of helpful info here. I¡¦m sending it to several friends ans additionally sharing in delicious. And certainly, thank you in your effort! The Health Connection by Jennifer Martin. sites, I’d like to keep up with anything fresh you have to post. Would you make a list of the complete urls of all your shared pages like your linkedin profile, Facebook page or twitter feed? web site taste is perfect, the articles is actually excellent : D.
and yours is the best I have found out so far. Health Connection by Jennifer Martin. I actually do have a few questions for you if you don’t mind. Could it be just me or does it look as if like some of these remarks appear as if they are left by brain dead visitors? 😛 And, if you are writing at additional social sites, I’d like to follow you.